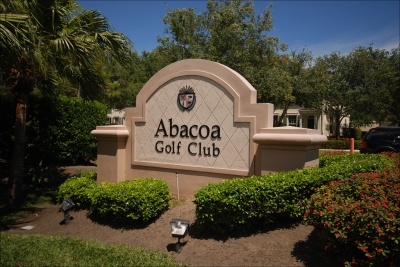 Abacoa Golf Club, located in the heart of Jupiter in Abacoa, features an immensely popular course designed by famous architect, Joe Lee. The course is surrounded by shimmering lakes and rolling fairways and presents a challenge to players of all skill levels. 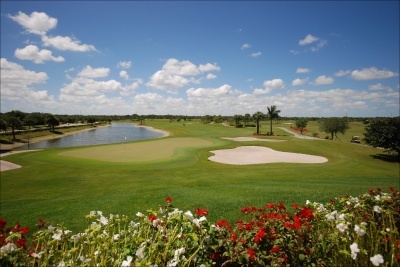 It also offers one of the highest quality putting surfaces in the entire state of Florida. 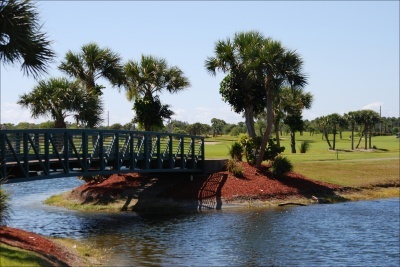 Not many others courses in Florida feature a variety of elevation changes, which makes the course at Abacoa Golf Club so unique. Also on the premise is the Pro Shop, offering the best in all your golfing needs, from apparel to equipment. The staff is readily available to assist in scheduling start times, rent golf carts, sign up for club storage, and more. There is also a large putting area to practice your swing, in addition to an all natural grass driving range, with PGA staff available for lessons. The Bar & Grill is also a favorite amongst Abacoa natives. For those looking for non-golf related things to do, the Abacoa Golf Club is host to many events throughout the year, including Big Band Night, which celebrates the Big Band Sound through live performances and fun dancing. Many people also choose Abaca Golf Club as their prime location for a beautiful coastal wedding due to its romantic setting.